When a major disaster hits, it can take over the news. Disturbing images and graphic news coverage can be troubling for empathetic adults. But it can be scary — deeply distressing — for young children. Experts agree that parents should shield children from watching disturbing live news coverage. But how do you talk with them about something difficult they’ve seen or heard in the news? How do you prepare them for what they might hear at school, or while talking with their friends? 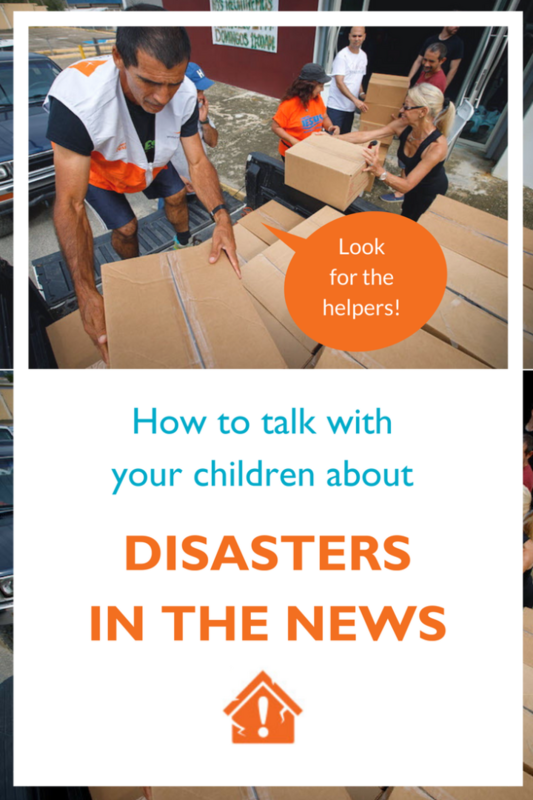 The World Vision media and communications team has a lot of experience researching and covering disasters and their effects on children. The team also includes parents and people who care about children. After all, that’s why we do the work we do. Begin by asking an open-ended question like: “Tell me what you know about…?” Then, follow up with something like: “How do you feel about…?” Or, “Why do you think that happened?” You may find out that your child knows more than you think, or that they heard or imagined something inaccurately. Reassure, give extra hugs, and show your children how you’re helping to keep them safe. For example, if there was a massive earthquake somewhere, and there could be an earthquake where you live, show your children your emergency supplies and evacuation plan. Or if there was a tornado, and there aren’t tornadoes in your area, get out a map to show them how far away it was. This is also a great time to pray together, give fears to God, and ask for comfort and protection. Offer crayons and paper. Some children might not want to talk about something scary they’re thinking about, but it might be easier for them to draw about it. 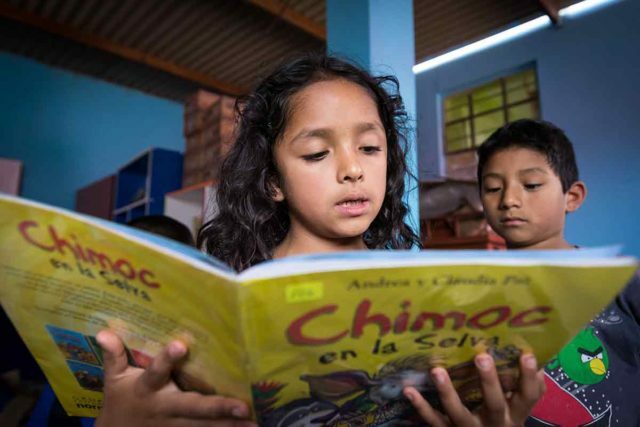 Children’s counselors frequently use this technique, which we also find helpful at the Child-Friendly Spaces we set up after disasters. Mister Rogers talked on his show about how his mother told him to “Look for the helpers. You can always find people helping.” Children may be reassured to see emergency aid workers and good Samaritans helping those in need. You can model generosity and be a good Samaritan too. Invite your children to do something to help those affected by the disaster. 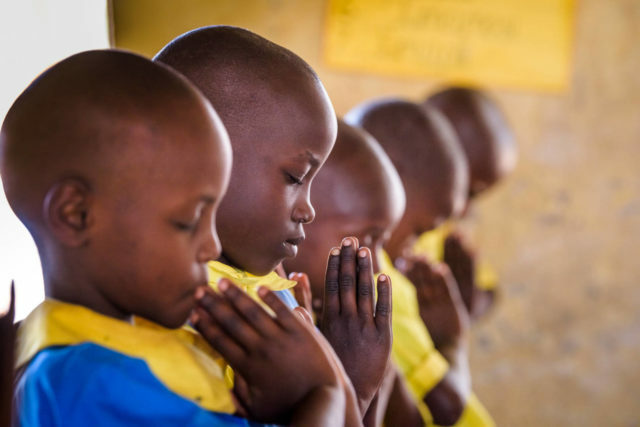 It could be as simple as saying a prayer together, asking God to comfort disaster survivors. Or your children could donate some allowance money, fundraise, or gather supplies. Want to read more on the subject? Here are two of our favorite sources for parents: the experts at PBS have a helpful age-by-age guide, and of course, Mister Rogers, the late Presbyterian minister who was so gifted at helping children feel safe. When disaster strikes, World Vision is there. We respond immediately with life-saving help and supplies, and then stay long term to support families as they recover and rebuild.